The sculpture has been lovingly taken to Vatican City via various friends of the studio. First by Jim Towey, to the Beatification Mass; then by a friend who photographed the piece. She was also sent directly to Pope Francis, by Merna, of course, as a birthday gift in the year of Mother's sainthood. 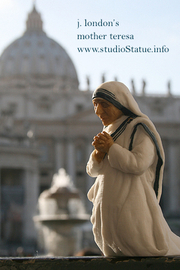 The Sculpture of Mother Teresa gets around, she is a beloved piece, invited to events, given as gifts, and brought home by those who find her at the studio. There are other events we will post here. St. Paul's Church in San Francisco where the Profession of Vows Services take place in December and May. Merna has attended some of these services. 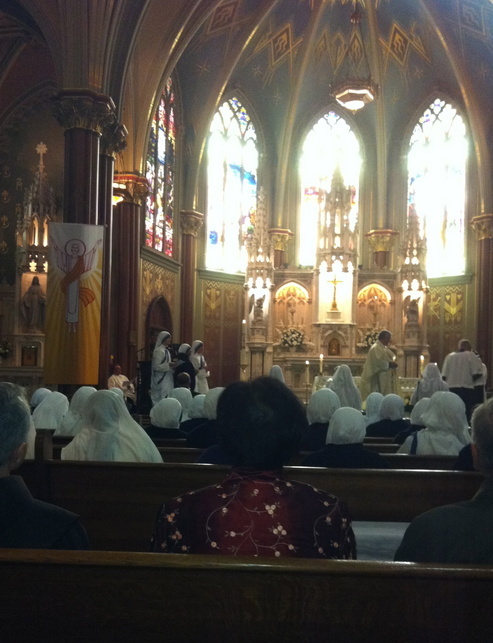 The singing by the Missionaries of Charity is beautiful flowing from the upper back loft. The Sainthood Mass was a joy as customers and I communicated via the internet as we watched the events of the September 5, 2016 weekend unfold on EWTN. 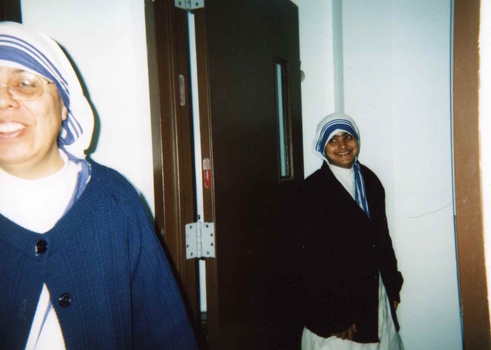 These sisters are in the Bronx, NY, where Merna visited over Easter in 2005. The sculpture that was given to Mother Teresa is at this convent. Produced by permission of the Missionaries of Charity.